Samsung Electronics and Harman International Industries, Incorporated today announced that they have entered into a definitive agreement under which Samsung will acquire HARMAN for US$ 8 billion. Upon closing, the transaction will immediately give Samsung a significant presence in the large and rapidly growing market for connected technologies, particularly automotive electronics, which has been a strategic priority for Samsung, and is expected to grow to more than $100 billion by 2025. 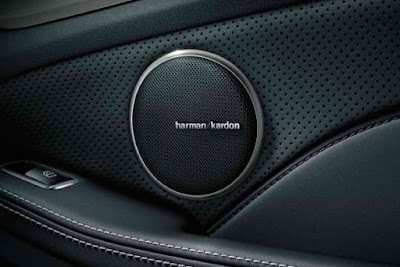 HARMAN is the market leader in connected car solutions, with more than 30 million vehicles currently equipped with its connected car and audio systems, including embedded infotainment, telematics, connected safety and security. Approximately 65 percent of HARMAN’s $7.0 billion of reported sales during the 12 months ended September 30, 2016 are automotive-related, and its order backlog for this market at June 30, 2016 was approximately $24 billion. Automotive: Combining HARMAN’s leadership in new connected car technologies, including its top positions in infotainment, cyber security, over-the-air updates and telematics, with Samsung’s significant expertise and experience in connectivity technologies, including 5G, UX/UI, display technology and security solutions, will enhance HARMAN’s automotive and connected services businesses to drive greater sales and provide significant benefits as automakers speed the adoption of next-generation connected cars. Audio: HARMAN’s leading brands and cutting-edge audio systems include JBL, Harman Kardon, Mark Levinson, AKG, Lexicon, Infinity, and Revel. The company also licenses Bowers & Wilkins and Bang & Olufsen brands for automotive. All of these brands will greatly enhance the competitiveness of Samsung’s mobile, display, virtual reality and wearable products to deliver a fully differentiated audio and visual experience for customers. Professional: The combination will also expand the combined company’s business-to-business platform through its ability to deliver integrated, large-scale audio and visual professional solutions at stadiums, concert facilities and other performance centers such as The John F. Kennedy Center for the Performing Arts and STAPLES Center – home of the GRAMMY Awards. Connected Services: Samsung will gain access to HARMAN’s 8,000 software designers and engineers who are unlocking the potential of the IoT market. This collaboration will deliver the next generation of cloud-based consumer and enterprise experiences, as well as end-to-end services for the automotive market through the convergence of design, data and devices.